I think it’s safe to say that we are dealing with one of the greatest, most complex and wide-ranging health crises ever in our existence. When the rate of ANY health condition doubles in three decades, alarm bells should be clanging. Although many factors have been identified as playing a role in our obesity crisis—including fast/junk food, soda, sedentary lifestyles and lack of exercise, and even more recently gut bacterial imbalances, food sensitivities, and chronic inflammation—there’s still more to it than that. And one of the big players that is largely being ignored is medications. A good number of commonly prescribed medications interfere with your body’s use and absorption of nutrients that are critical to proper metabolism—so the end result is weight gain! Considering that seven out of 10 of us take at least one prescription medication each day, that’s a good number of people for whom the pharmacy is helping to widen their backsides. If you are on any of these medications and are struggling with excess weight or obesity, talk to your doctor about alternatives. It’s pretty tough to justify the benefit of exchanging one health condition for another, especially one as devastating and far-reaching as obesity. Chromium: Chromium helps encourage glucose uptake by your muscles, helping to encourage healthier blood sugar levels, plus it also curbs food cravings. Magnesium: Magnesium lowers blood glucose levels. Biotin: Biotin is key to a strong metabolism, helping with the proper breakdown of carbohydrates into glucose, fats into fatty acids and protein into amino acids. Vanadium: Vanadium also pitches in with biotin and chromium to help get proper amounts of glucose into your body’s cells. Alpha-lipoic acid: Alpha-lipoic acid is an antioxidant that assists your body in using glucose. Iodine: Iodine helps support healthy thyroid function, which is vital for your metabolism. A high-quality multi-vitamin and mineral formula can help provide health supporting doses of ALL of these metabolism-crucial nutrients. Also important in the fight against obesity are Omega-3 essential fatty acids, especially Eicosapentaenoic acid (EPA) and Docosahexaenoic acid (DHA). These help to increase the flexibility of your cell membranes (so nutrients can get in and wastes can get out) and fight inflammation. Fish oil supplementation can help ensure that your body has enough of these crucial fats. 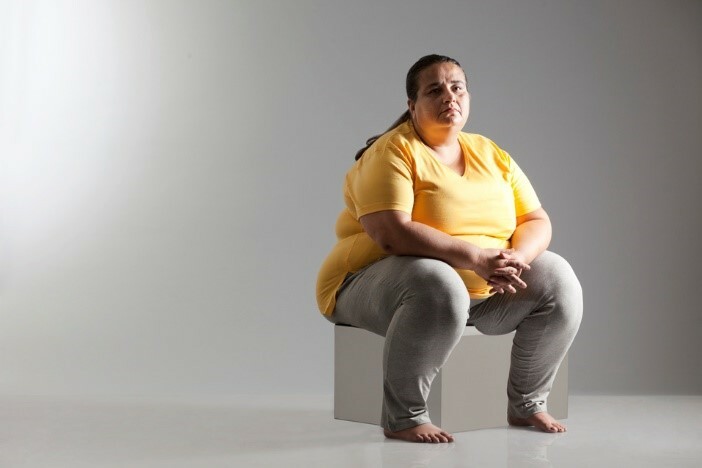 Obesity is a complex issue for which there is no one easy answer. But you can help stack the deck in your favor by engaging the power of nutrition and ensuring your body has what it needs to support a healthy metabolism! Not everyone has an issue with gluten, and it’s not a guarantee that you’re going to lose weight. Here’s what you need to know to determine if going gluten-free is right for you. Even though gluten-free eating is a hot topic, many people STILL don't know what gluten is. Gluten is a protein found in wheat, barley, and rye. It's what gives bread its soft, chewy texture. And it also happens to cause many people a LOT of pain. That’s because gluten is a very dense, sticky protein that’s challenging for the human GI tract to break down. As a result, digestion can be hampered, which can cause problems like gas, bloating, constipation or diarrhea. Gluten problems have exploded over the last several decades because the amount of gluten we're eating (as compared to 50 years ago) has also exploded. And our bodies are simply not designed to handle that much gluten! Due to bioengineering and hybridization of crops, the wheat harvested today has nearly double the gluten of the wheat that our grandparents ate. Plus gluten is a thickener in many processed foods, and our consumption of those has skyrocketed over the last 50 years. Here are three main reasons why people consider a gluten free diet. First and foremost, remember this: Celebrities are not health experts—they are performers. And while they may pass along information that has merit, that doesn’t necessarily mean it’s right for everybody. If you go gluten free and feel better, it’s because your system was challenged by the amount of gluten you were eating—not because Gwyneth Paltrow is a diet expert. It can be, but not for the reasons you might think. Without your system having to break down a lot of gluten (especially if you’re a bread and pasta lover) you’ll help to improve your digestion which can lead to weight loss. Plus you may end up naturally consuming fewer refined carbs overall which can certainly make you drop pounds. However, it can also backfire on you and cause you gain weight...especially if you replace the gluten-loaded breads, crackers, cakes, and cookies you used to eat with gluten-free versions, and think you can indulge to your heart’s desire because they’re gluten free. There are 3 possibilities here: A gluten allergy, a gluten intolerance or sensitivity, and Celiac disease. With a true gluten allergy, the symptoms usually occur immediately after eating gluten, so the cause-and-effect relationship is obvious. But with a gluten sensitivity (intolerance), your immune system sees gluten as a dangerous invader and launches an attack, leading to pain, cramping and diarrhea. However, your symptoms may not appear right away or even days later. Plus gluten-sensitive health problems can disguise themselves as many other conditions that you might not associate with gluten. The New England Journal of Medicine listed 55 conditions that can be caused or worsened by eating gluten—including osteoporosis, anemia, fatigue, rheumatoid arthritis, lupus, multiple sclerosis, and almost all autoimmune diseases. Gluten is also linked to many psychiatric and neurological diseases, such as anxiety, depression, migraine, epilepsy, autism and neuropathy. Lastly, Celiac disease is an EXTREMELY SEVERE case of gluten intolerance or sensitivity. It’s extremely important to see a doctor if you suspect you have a gluten problem. Note that the tests for gluten allergy, sensitivity and Celiac are different, so if your doctor has only done one test, you have not been completely tested and may continue to suffer from undiagnosed gluten problems. Obviously, this is vital if you have been diagnosed with a gluten issue. 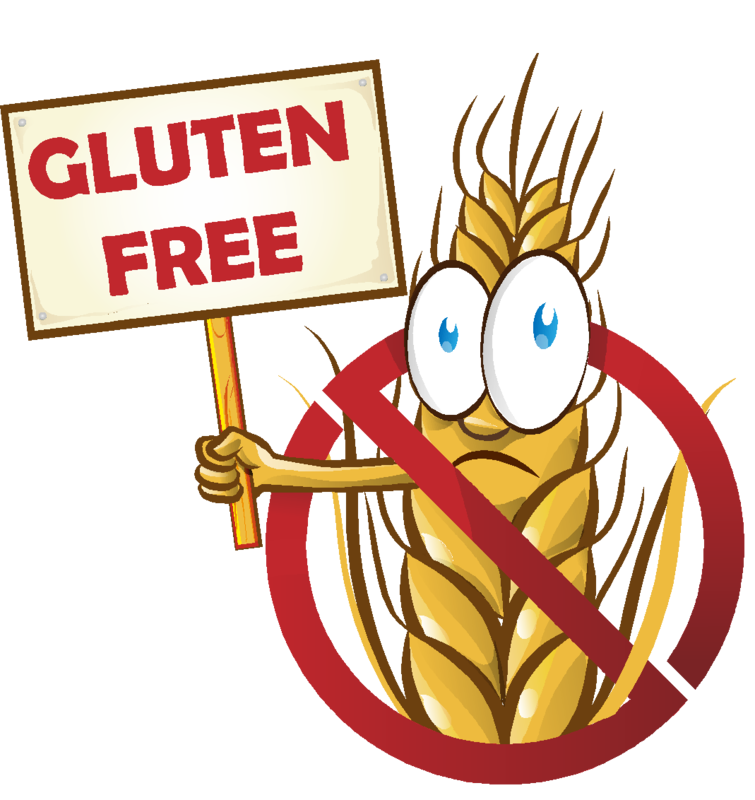 But even if you don’t have a documented problem, many people feel better eliminating gluten simply because their bodies are less challenged during digestion. Real foods are inherently gluten free—including fruits, vegetables, meats, poultry, and fish—so they should become the major part of your diet. When dining out, ask your server questions about how the dishes are prepared. Watch out for non-food sources of gluten too, including medications, cosmetics, lip balm, soaps, shampoos, sunscreen, toothpaste, and detergent. Click here if you need more information or some great gluten free recipes. Gluten challenges and the resulting effects on your intestinal tract can also be harmful to your beneficial gut bacteria, which can cause digestive problems and weaken your immune functioning. Supplementing with a quality multi-strain probiotic formula can help rebuild your population of helpful bacteria and support a strong, healthy gut environment. Have you recently seen a doctor for any of these symptoms? If so, chances are good that bloodwork was done and nothing was found. You may have been given some type of medication (pain relievers, antibiotics, acid reducers, antidepressants, etc. ), told to go on a diet, or maybe even that it’s all in your head! But I’d be willing to bet that your problems continued, right? Well, there's a good reason for that. The reason is that a whole slew of seemingly unrelated symptoms can be caused by yeast (Candida) overgrowth in your body. And all the prescription drugs in the world won't touch it--that's why your symptoms keep coming back. Yeast (Candida) is always present in your body, and it does serve a valid function--killing harmful bacteria in your intestinal tract. As long as you have a healthy gut environment, Candida is kept under control and does what it's supposed to do. The problem arises when Candida grows out of control--then this relatively harmless yeast becomes a fungal monster that can make you very sick. There are about 154 different species of Candida, but Candida albicans is usually the culprit that causes health problems. When Candida transforms from yeast to fungus, it eats away at your intestinal walls and makes them too porous. This allows Candida, plus any poorly digested food molecules, toxins and wastes in your intestinal tract to seep into your bloodstream. This can cause rashes, food intolerances, brain fog, skin/nail infections and genitourinary infections in both men and women. In addition, two toxic substances - ethanol and acetaldehyde - are produced, which hamper your red blood cells' ability to flow into the capillaries, and can lead to migraines, muscle aches, and fatigue. These toxins also impair your white blood cells' ability to fight infections, and can also trigger allergies, skin rashes, acne, and slow healing. The important thing to realize is that once you have symptoms, that's a sign Candida is already out of control in your body. Taken a long course of antibiotics, or multiple courses over a short period of time? Suffered from persistent prostatitis, vaginitis or other genital infections? Been treated for cancer with chemotherapy or radiation? Craved bread, sugar or alcohol? Been diagnosed with HIV/AIDS or an autoimmune condition? Frequently felt fatigued, lethargic, dizzy or disconnected? Suffered from poor memory or concentration, loss of sexual desire or mood swings? Suffered from constipation, diarrhea, heartburn, bloating or gas? Had foot, hair or body odor that persists after bathing? Had persistent bad breath, nasal congestion, rash in your mouth or sore throat? Suffered from persistent cough, chest pain or wheezing? Experienced frequent urination or burning with urination? Had persistent toenail or fingernail discoloration? As you would suspect, the more “Yes” answers you have, the more likely Candida is an issue for you. Candida yeast feed on sugar and refined carbohydrates. So when you eliminate these foods from your diet, you deprive Candida of the food source it needs to multiply. Read labels carefully, as sugars are hiding in many foods and condiments. Focus on consuming good carbohydrates like vegetables and legumes. In addition, although they can be very healthy, fruits are high in sugar and whole grains can feed Candida too, so they are best avoided for at least a month or until you have Candida under control. Support a healthy flora balance. The beneficial bacteria in your intestinal tract help to keep Candida under control and support your immune system, but they can only do this if there is a healthy enough population of them. A high quality, multi-strain probiotic formula can provide a much-needed intestinal flora boost for your body, and help ensure your army of good guys stays strong. 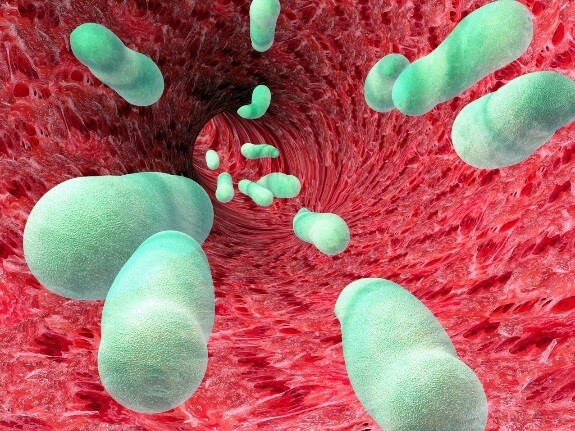 Look for a product that includes the strains Lactobacillus rhamnosus and Lactobacillus acidophilus—they have been shown to be extremely effective in fighting Candida. Coconut oil can effectively fight Candida due to its antimicrobial properties, plus it’s a good stable fat for cooking. If you are on birth control pills, steroids or antibiotics, talk to your doctor about alternatives.